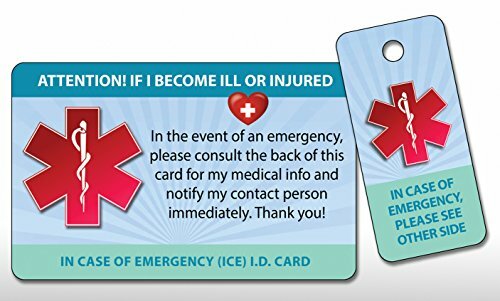 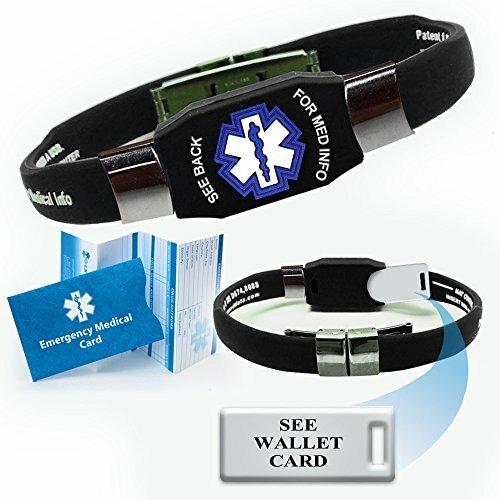 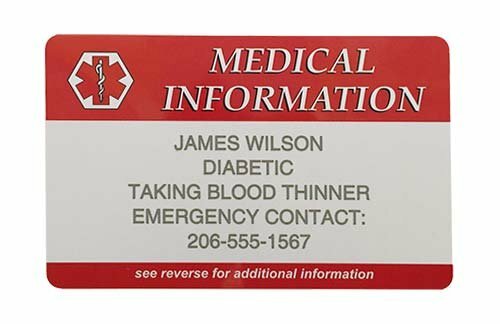 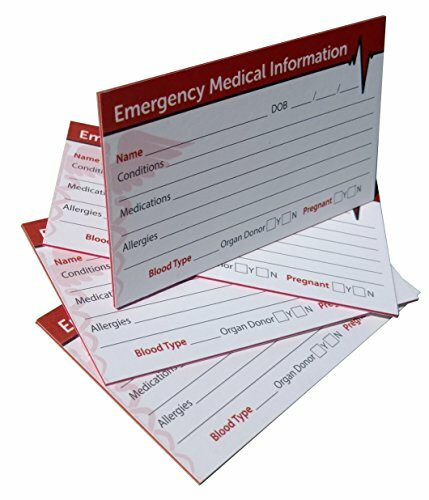 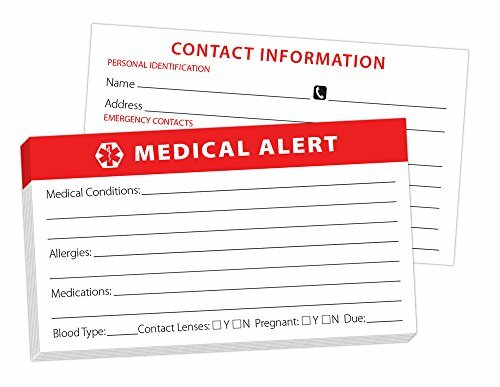 In Case of Emergency Contact Cards with Medical Alert, Two Premium Tri-Fold Wallet Cards, Two Key Fobs, I.C.E. 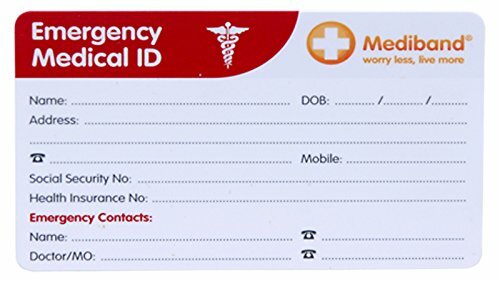 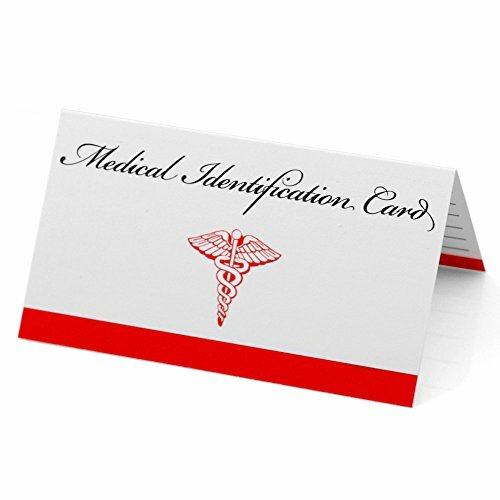 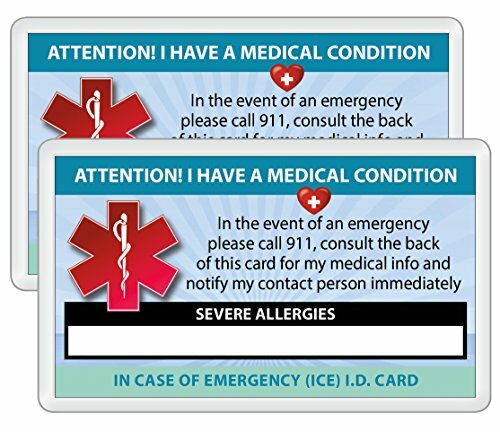 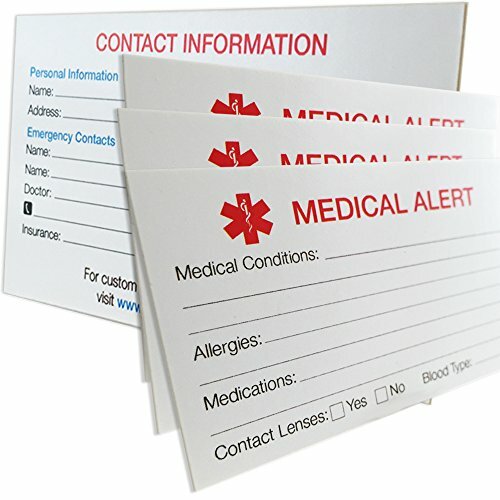 ID Emergency Contacts, Allergies, Medical Information, Doctors. 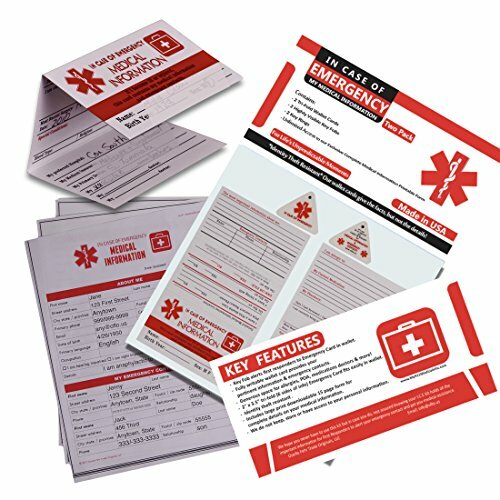 Plus printable forms!